Boggsville is located south of Las Animas. From Highway 50, take Highway 101 approx. 2 miles south of town. 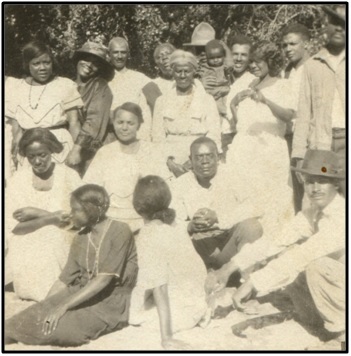 a former African-American homesteading community south of Manzanola. Program presented by Michelle Slaughter, Denver archaeologist. Check out this link to a video that we made in the field! Dr. Cruz explains how we were able to read the soil at Viola Mitchell’s homestead to determine where the floor of the structure was. Today, while Dores and Erik continued excavating Viola Mitchell’s homestead, Jennifer and Jess went to the homestead owned by Mrs. Alice McDonald’s parents (Harvey and Rolan Craig). 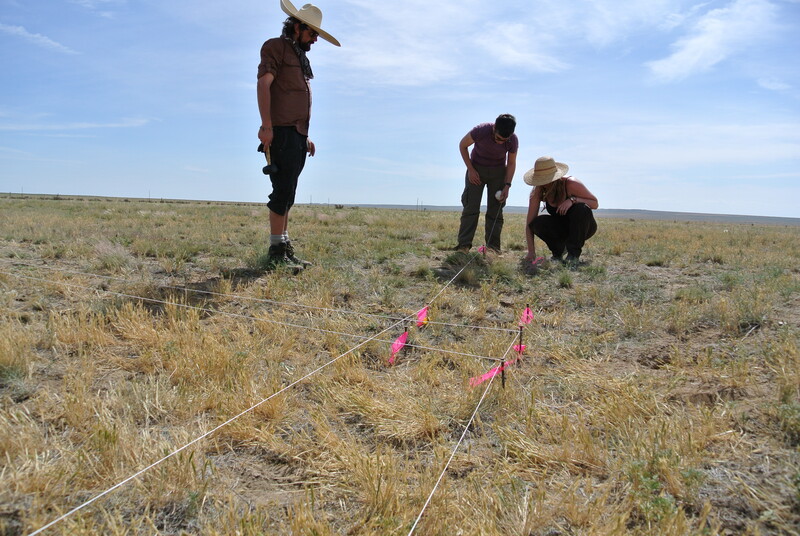 They began an extensive surface survey, taking careful note of the various artifacts scattered on the ground. 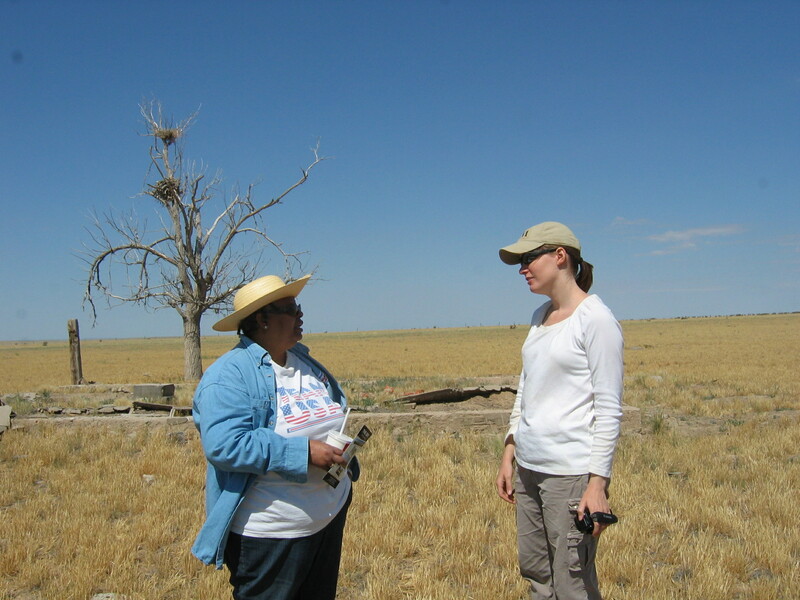 We’ve had an exciting breakthrough in our work at Viola Mitchell’s homestead. While we’ve been able to locate the packed floor of the structure we are excavating, we were puzzled by a lack of other clues that pointed towards this being a dugout home. For example, if the settlers were digging into the ground to create their home, then we should have found more evidence of large movements of dirt. Although the term “dugout” can mean of a variety of different structures (that would look different in the archaeological record) we became increasingly confident that we were not in fact looking at a dugout. Dr. Dores Cruz did some research on the various types of structures built on homesteads during this period, and determined that what we are looking at might be a claim shanty instead. 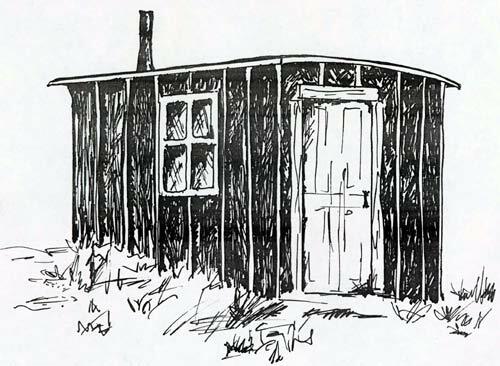 Claim shanties, like dugouts, could take a variety of forms, but were typically structures built hastily on the surface of the land in order to lay claim to a homestead. This new hypothesis fits well with the information we have so far. 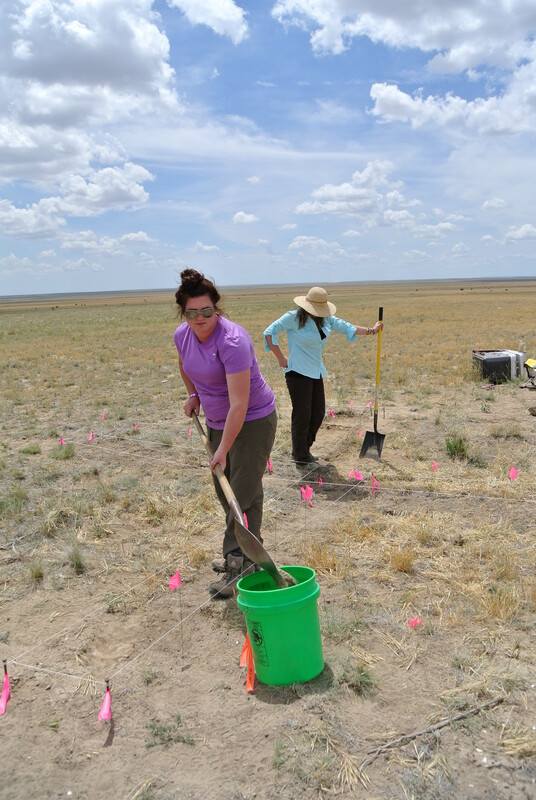 The dirt floor was found relatively close to the surface, which suggests that the structure did not have a deep foundation. In addition, the estimated size of the structure aligns with the common size of claim shanties during the period. 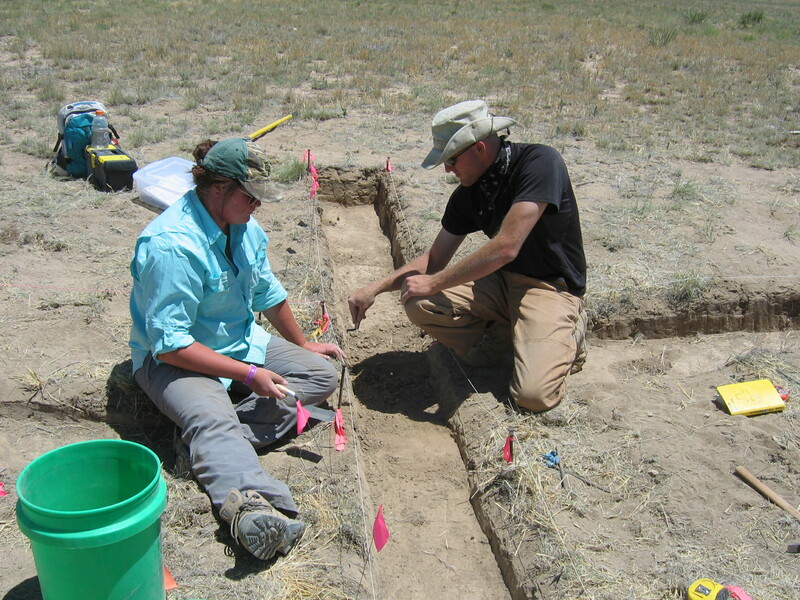 We are continuing to excavate this week in hopes of finding more evidence that might support this idea. We’ve also begun researching other archaeological investigations of similar structures, and looking at documentary sources about claim shanties. Be on the look out for more updates on this research process! Today we kept working on the units that we opened up yesterday, and were visited by descendant Mrs. Alice McDonald, her niece Geneva, and History Colorado representative Tom Carr.